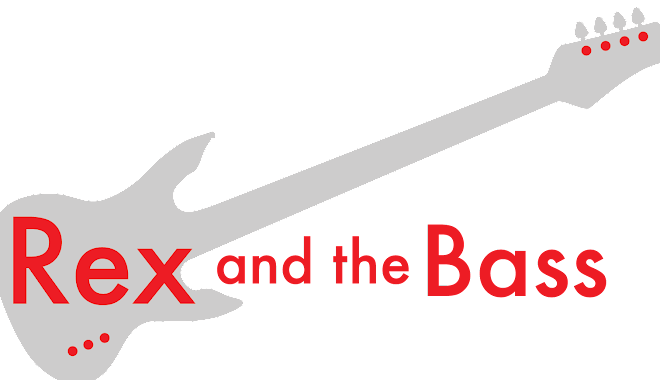 Rex and the Bass: NAMM 2017: Manufacturer Overview – Logjam Music Ltd.
NAMM 2017: Manufacturer Overview – Logjam Music Ltd. I am sure that a lot of folks head to NAMM to see what the big guys are doing, and sure enough these companies are always coming up with new ideas and products. But I really relate to the cool stuff that individuals are coming up with, when they make their dreams into reality and then get a chance to wow the crowds. One of these fellows is Howard Bragen, who took the time to run me through his line of products from Logjam Music Limited. Howard is first and foremost a musician and songwriter, and this UK denizen came up with a unique way to accompany himself on the guitar: with wood stompers that have on-board electronics that allow them to be played through an amp. They are small and are much more convenient than carrying around a kick drum or cajon, and the sound they make is quite amazing. 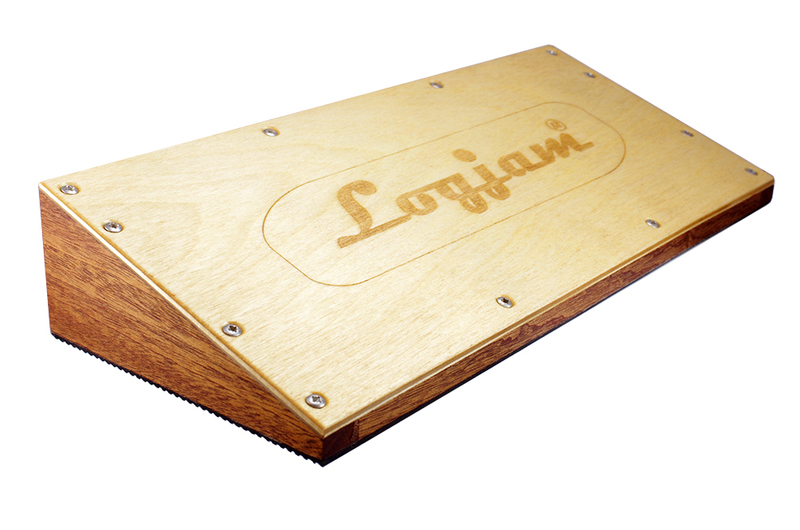 The Logarhythm 4 (£74.95) measures 195 X 100 X 45 mm and weighs around 560 grams. This is a larger unit that allows for different tone if it is struck in different locations or if both feet are used. It has a fluted rubber base to keep it from sliding around while you are using it. The Microlog 2 (£54.95) is designed to fit on a pedal board so it is smaller, measuring 70 X 100 X 45 mm, and weighing in at 215 grams. It is smaller, but it still produces a respectable bass drum sound. Of course, there is not quite the variety of available tones as with the Logarhythm 4. The Prolog (£99.95) is a bit different as it is elongated so that the user can tap the front chamber for a drum sound, and click their heel on the extension to get more of a stick sound. It is a bit bigger than the previous two stompers, as it is 300 X 125 X 42 mm, but it still only weighs 600 grams. This is my favorite of the conventional Logjam stompers. The Travelog 2 (£64.95) is the portable model that is designed to fit in your guitar case, with a small footprint of 125 X 100 X 45 mm, and a weight of 350 grams. Lastly, there is the Rattlebox (£139.95), which is Logjam’s newest addition to their product line. It has more of a wedge shape than the other stompers, and it measures 292 X 130 X 50 mm, with a total weight of approximately 600 grams. 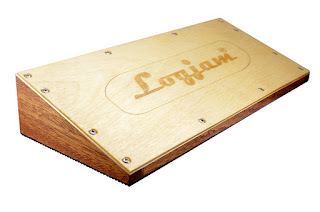 This box provides a snare or stick sound, and it can be played with feet, sticks, brushes, mallets, or your hands. It has a really pretty and natural tone when it is unplugged, and when it is plugged in it loses none of this organic feel. This would be a cool addition to the Prolog if you wish to have more of a complete drum set sound to go along with your solo act.